Kevin Lee fought Al Iaquinta at the main event of UFC On Fox 31 on Saturday night, where he was defeated via unanimous decision (47-48, 47-48, 46-49). After the loss, “The Motown Phenom” said he felt “devastated, embarrassed, the lowest of lows”. But it looks like the current UFC Lightweight champion Khabib Nurmagomedov watched the fight. After the match, Khabib took to his Twitter account and wrote a message for Kevin Lee. “The Eagle” advised him to “stay humble”. Khabib also congratulated his former UFC 223 rival, “strong” Al Iaquinta, for his excellent performance. 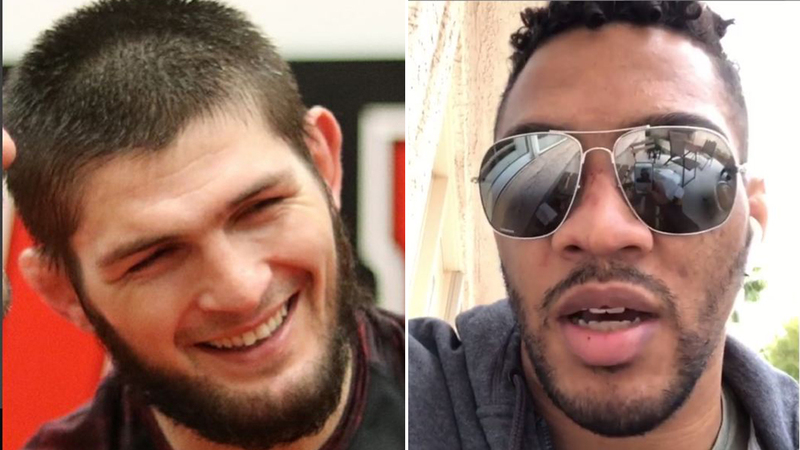 But it looks like Kevin Lee didn’t take Khabib’s message friendly. He replied to Dagestani’s advice on his Instagram account. Oh, he sounded angry! But wait, Khabib Nurmagomedov is under NSAC suspension for his role in UFC 229 post-fight incident. And now he advises someone? “The Motown Phenom” spoke about his future plans in Ariel Helwani’s MMA show. He confessed weight cuts played a major role in his matches. Yet, Kevin added he was not interested in moving Welterweight because of an “unfinished business” in the 155-pound weight class. Lee also praised “Raging Al” for his performance. Kevin Lee is on a cold streak at the moment, with only one win in his last three fights. Before the match with Al Iaquinta, he earned a victory over Edson Barboza at UFC Fight Night 128, on April 21, 2018. But at UFC 216, on October 7, 2017, he lost to Tony Ferguson via triangle choke. What do you think, will Kevin Lee recover from his second loss to Al Iaquinta?